Lingard is contributing goals and assists this season - so why don't all Manchester United fans love him? Believe it or not, there are some Manchester United fans who don’t love Jesse Lingard with their whole heart. Difficult to understand, isn’t it? 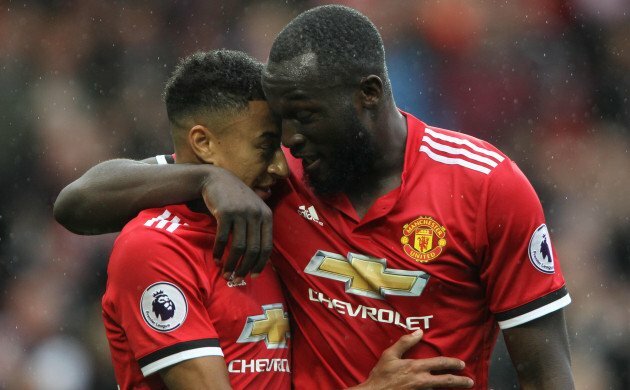 Lingard scored the winning goal against Chelsea on Sunday, flying through the air to get his head on an inch-perfect Romelu Lukaku cross soon after coming on. It wasn't the first big game he’s shown up in this season either, scoring twice in United’s 3-1 win over Arsenal at the Emirates. Lingard has now claimed eight league goals and four assists. That total makes his return comparable with Eden Hazard and Christian Eriksen’s 14 goals and assists, Sadio Mane’s 12 and Gabriel Jesus’ 10. However, when you then factor in the amount of minutes they’ve had on the pitch, Lingard comes across even better. He has a goal or assist to his name every 108.6 minutes on the pitch, Jesus every 101.7 minutes, Hazard every 120.7, Mane every 125.6 and Eriksen every 166.1. When you then look at Lingard’s performance in all competitions, he has 17 goals and assists, working out at one every 86.6 minutes on the field. Rival supporters, and even some at Old Trafford, have taken a dim view of his celebrations. Whether it’s the ‘Milly Rock’ or ‘Wakanda Forever’, Lingard certainly has an eclectic approach to the way he marks a goal. What would Roy Keane have made of it, is the cry from social media. Who knows. What did he make of Ryan Giggs and Paul Ince’s rehearsed celebration or Lee Sharpe’s ‘shuffle’? He probably wasn’t bothered. Still, for many United fans, Lingard’s ability to get under the skin of opposition fans is just another reason to love him. Seeing him break out a dance move after scoring another goal rubs salt in the wounds of those who can’t abide him - and that’s great. He certainly won’t be the first United player to rub football fans up the wrong way. Like him or loathe him, it’s hard to ignore the fact that United usually play better when he's on the field. Before his goals started, his movement alone made him a worthy member of the squad. His intelligent runs pull defenders away and he works tirelessly when his team aren’t in possession. Now that he’s scoring more regularly it’s hard to justify his exclusion, even if the attacking spaces in the starting XI are more limited when Mourinho opts for a 4-3-3 formation instead of his more often used 4-2-3-1. Still, Lingard is a great option to have from the bench, when the opposition’s legs begin to tire. He’ll do everything he can to get on the end of loose balls, will track back and put in tackles, while also often being in the right place at the right time to score. The reason for Lingard’s introduction on Sunday was probably the defensive effort he brings. Ashley Young was having a horrible afternoon at left-back and Mourinho likely saw Lingard as a more effective player to win back possession than Anthony Martial. There’s no denying the Frenchman is a more skilled attacker than Lingard, but the local lad generally works harder for the team. When Gareth Southgate first started including Lingard in his England squads, many fans were baffled. He simply hadn’t done enough for United to warrant a call-up. Yet having previously worked with the Under-21s, Southgate knew what Lingard could offer his country. There would now be greater surprise if Lingard wasn’t on the plane to Russia, given how well he is performing for United this season. Sir Alex Ferguson prophesied that Lingard would be a late bloomer and that prediction is coming true. At 25, he certainly isn’t a youngster anymore and it’s taken him longer to find his feet in the first team. In Lingard you always had a player who loved the club and would put a shift in for the team, but now his added goals and assists suggest he may well have a long career ahead of him at Old Trafford, just like he always dreamed of.